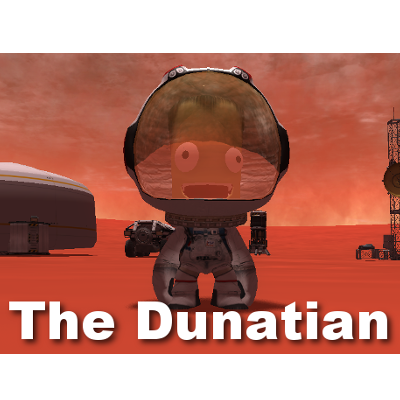 I loved the book The Martian and since I already played KSP I thought it would be possible to do a 'The Martian' type of play through. Many KSP'ers have done their own before but I decided I wanted something with a bit grander scope. So grand dreams in hand and not much spare time I set about creating 'The Dunatian', why that name and not the Dunian or something like that. Well it had already been coined and a story written, so it seemed logical to continue the name. I knew that I would be time limited and sought to get the community involved in helping make it. So far it has been incredible the support given to the project and the great work being done. I hope you enjoy The Dunatian and you give some rep on the forums to all the contributors.